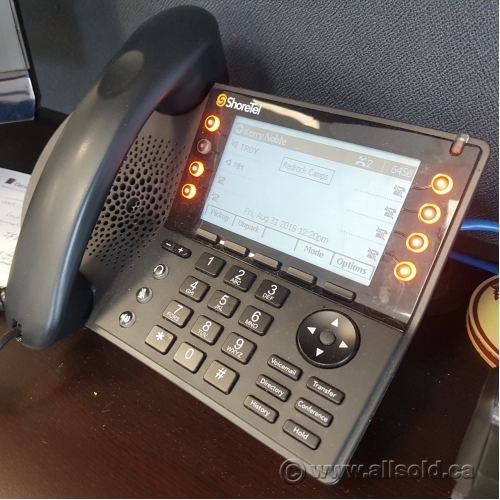 The ShoreTel IP480 provides 8 line appearances with an easy-to-read, back-lit display. Expanded call history and directory along with visual voicemail are provided. An integrated 10/100 Ethernet switch allows a network drop to be shared with a desktop PC. These are business phones and will require a phone system to use.